The Fleetwood Flair class A motorhomes for sale at Brown’s RV Superstore are on sale for amazingly low prices! Right now, you could save up to $35,000 on one of these beautiful motorhomes. Let’s take a more in-depth look at some of our favorite features in this Fleetwood Flair class A motorhome review. 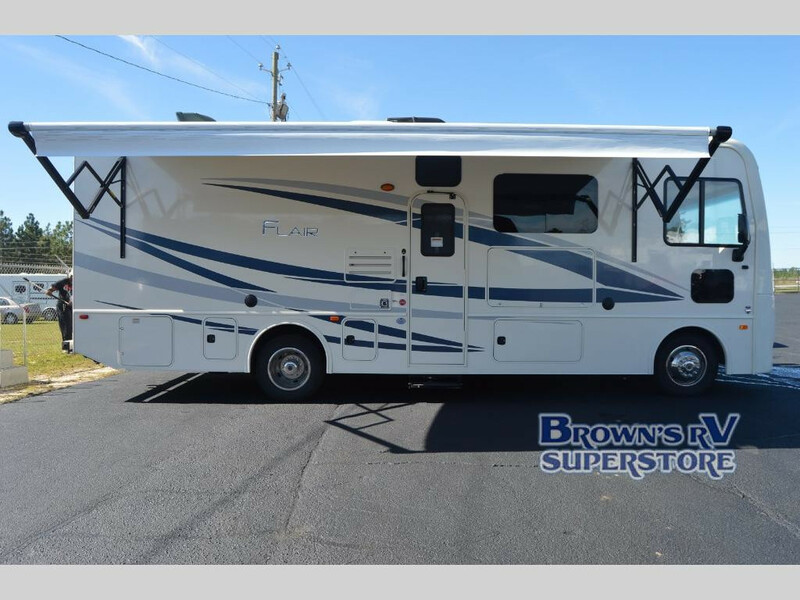 Save up to $24,000 on this Fleetwood Flair 28A class A motorhome today! 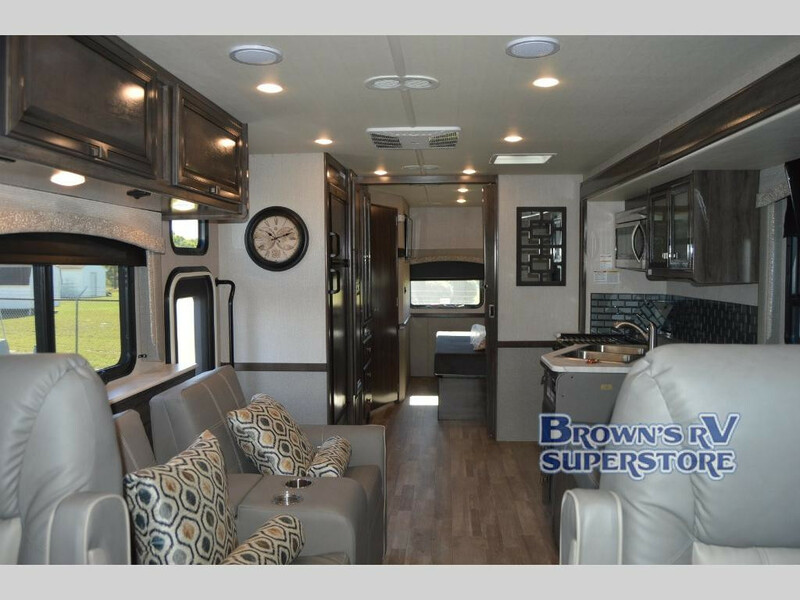 If you love the comforts of home but yearn to be out on the road, then this is the motorhome for you. 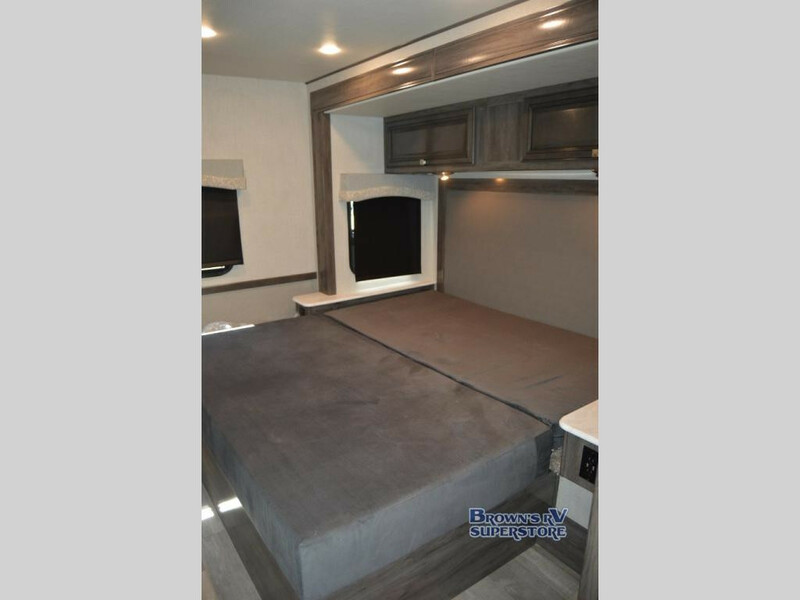 The Fleetwood Flair class A motorhome comes with double slide outs, so you’ll never feel cramped indoors. You’ll find a full kitchen with a range, microwave, double sink, gorgeous backsplash, and your pick of an 8 or 10.7 cu. ft. refrigerator. Take all the luxuries of home on the road! Driving this motorhome will be a breeze with the Ford 6.8L Triton V10, 320 HP, gas engine. You’ll love having plenty of space for keeping your coffee on hand with the pedestal table between the passenger and driver seats. 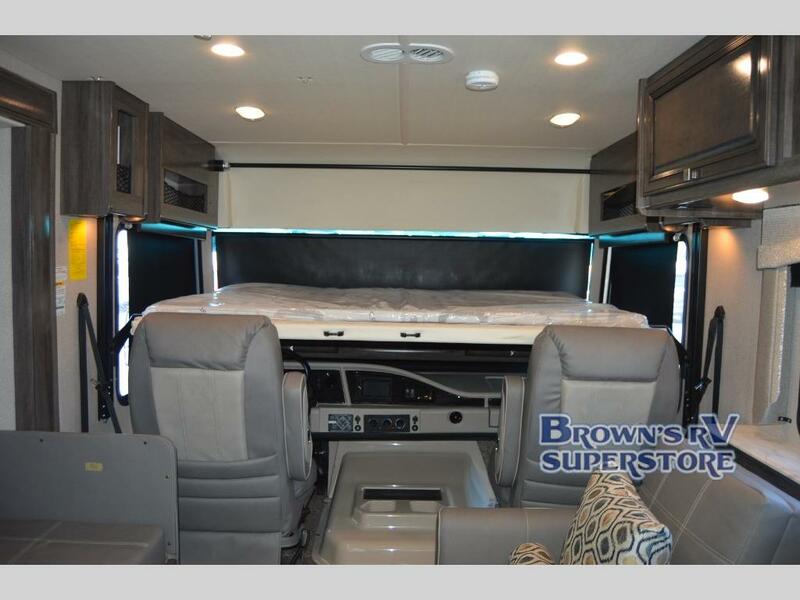 When you arrive at your destination, you’ll find the Hide-A-Loft drop down queen bed that lowers over the cab a perfect place for your teenager to sleep. This motorhome provides sleeping for up to eight campers. After a long day at the campground, you can slip away to the king master bedroom and enjoy a good night’s sleep. All of the windows feature blackout curtains so that you can sleep in late. The full bath is just across the hall, so you can enjoy a hot shower and then slip into bed without waking the kids. Sink into your private retreat. Don’t miss your chance to save big on the RV of your dreams and upgrade your vacations for years to come! Contact us today for more information. RV Event: Join Us April 13th for the Poker Run!!! We Want Your Trade In RV: 30 Seconds to See What Your Trade in is Worth!